I first met this family last year during Mini Sessions and was thrilled to hear they were expecting again this fall. 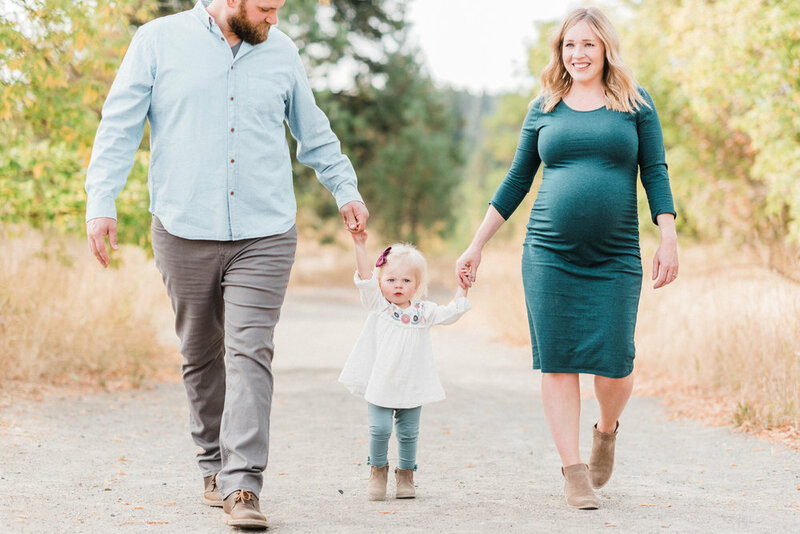 This maternity session took place on a gorgeous September afternoon near Peaceful Valley. Rachel has the cutest BUMP and I especially love the image of her little girl looking up at her tummy. So sweet. Congratulations!! Bennett arrived on Oct. 14th (just about 4 weeks after this session! ).